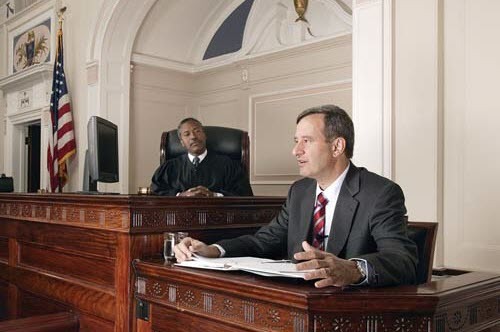 Expert witness testimony has played a vital role in both criminal and civil trials in the United States. Testimony from expert witnesses constantly helps judges and jurors reach conclusions in controversial and complex cases. Therefore, the Daubert Standard is important to know and understand in general, and especially as an expert witness. The Daubert Standard helps courts determine whether an expert witness’ testimony during trial should be admitted into evidence. One of the first observed standards, the Frye Standard, determined that expert witness testimony was admissible only if it was based on reliable methodology that was accepted by the scientific community. The Court in Daubert v. Merrell Dow Pharmaceuticals took a different approach and decided to look at the science behind the expert’s testimony and its relativity to the case at hand—creating the Daubert Standard. So far, this standard has been adopted by the federal courts and 78% of state courts. Many cases have shed light on the Daubert Standard and how the courts have interpreted it over the years. Two such cases are Sands v. Kawasaki Motors Corp, USA and Campbell v. Holly F. Fawber. In Sands v. Kawasaki Motors Corp, USA, the plaintiff, Megan Sands, filed a product liability action after she was seriously injured falling backwards off a Kawasaki jet ski. The witness for the plaintiff, Michael Burleson, an engineer, was asked to testify about the design defect. He would present his design as a better and safer alternative for the jet ski. The defense objected to this expert witness as they believed that his opinion was unreliable because he had not done enough testing on his own seat design. However, Burleson countered this by providing his own report that showed he had tested his design on the Kawasaki jet ski, focusing on acceleration and operation with a passenger. Initially the District Court granted the defendant’s motion and agreed with their objection. But, later after an appeal, the Appellate Court held that Burleson did not need to test his seat design for every possible outcome. They concluded that his testing was adequate and that the District Court had abused its discretion. The plaintiff was later awarded three million dollars. Generally, this case determined that expert testimony is admissible so long as the process or technique the expert used in formulating the opinion is reliable. In Campbell v. Holly F. Fawber, the plaintiff, Callan Campbell, was severely injured in an automobile accident. Holly Fawber was driving Campbell when she lost control while taking a left turn. The co-defendant, General Motors Corporation, moved for a summary judgement based on the belief that the plaintiff’s expert witness testimony was inadmissible under the Federal Rule of Evidence 702. They argued that they had not done sufficient testing, such as not conducting a roll test with the 1996 GMC Jimmy, the car involved in the accident. The court ruled that Federal Rule of Evidence 702 is “flexible” and the expert witness had conducted enough research. They denied the defendant’s motion for a summary judgement. Both cases provide important insight into how the courts view the Daubert Standard and use it in making their decisions. Expert witness testimony can often make or break a case, proving its importance in the judicial system. Knowing how the Daubert Standard affects expert witnesses and the admissibility of testimony is crucial to the understanding of what is considered “good” testimony. The Daubert Standard will undoubtedly continue to come into question as time goes on, with some cases expanding upon it and others limiting it. However, it is reasonable to assume that the Daubert Standard will maintain its importance for the foreseeable future as it has been generally accepted for 25 years. Paul Levin is a trial attorney and litigator involved in tort claims with over 25 years’ experience in state and federal courts. His practice has focused on complex civil litigation necessitating the involvement of expert witnesses across a wide range of scientific, financial, and clinical disciplines. Micah Hardy is a senior American Studies major at the University of Connecticut, Storrs. He has worked for Mr. Levin for over a year and plans to attend law school in the fall of 2019. Mr. Levin can be contacted at (860) 834-3333 or by e-mail to plevin1111@aol.com. Mr. Hardy can be contacted at (802) 490-0534 or by e-mail to mhardy@connecticutinjuryhelp.com.